We investigate and determine entity identities…and figure out what it is that keeps them here, and try to determine if they could possibly mean harm to anyone or if they are passive…we offer our help to both the spirit and the living… (Spirit Mediators) if you will. © 2016 The National Paranormal Society. The National Paranormal Society is not responsible for individuals, teams and submissions listed on the NPS website. Use of the directory is at the discretion of the individual. 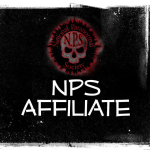 All submissions made to The National Paranormal Society, for the purposes of data analysis, article or editorial publication, team, individual or service listing, or any other submission category not listed become the property of the NPS. The use of the NPS name for any unauthorized events or activities is strictly prohibited. Please contact nps.submissions@gmail.com for more information.